Xiaozhen's Story, a musical by The Church of Almighty God, has been the object of much attention and praise since its 2015 release, winning multiple awards at international film festivals. In October 2017, the film received nine awards at the Virginia Christian Film Festival, including best director, best feature film, and best musical score. Xiaozhen's Story once again stood out at the US KaPow Intergalactic Film Festival, winning the award for the best foreign experimental feature. This is the eighth time this film has received an award at an international film festival. The Los Angeles KaPow Intergalactic Film Festival strives to show the best and most creative films from across the world, and in 2017 there were a number of excellent works from every corner of the globe. With its heartfelt enactment and profound content, Xiaozhen's Story was awarded best foreign experimental feature. The festival organizers presented this award to representatives from The Church of Almighty God on the evening of November 15 at the Noho 7 theater in Los Angeles' North Hollywood. The film sends an important message through the brilliant enactment of the metamorphosis of the Christian Xiaozhen's life: Mankind's greed, vanity, lust for fame and power, and departure from God can only trap us in a bitter struggle from losing our way. Our lives become increasingly empty and painful. It is only God who can save us from the tide of evil, lead us onto the right path in life, and bring us light and joy. 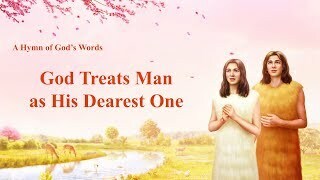 The lyrics of this film's theme song, God Is Seeking Your Heart and Your Spirit, were selected from the words of salvation uttered by Christ of the last days. God is waiting for those who long for the light to listen to the voice of the Creator, turn back from their aimless wandering, and gain God's salvation in the last days. After the awards ceremony, the festival organizers and the representatives from The Church of Almighty God posed for a photo. Reporter Chen Xiao from The Light of Truth provided on-site coverage of this event in Los Angeles, USA.